Satellite meeting organised by Professor Sir Michael Pepper FREng FRS, Dr Arijeet Pal, Dr Zlatko Papic, Dr Ulrich Schneider and Professor Steven Simon. The instances where an isolated system fails to reach thermal equilibrium raise interesting fundamental open questions. It requires new conceptual and theoretical frameworks, and novel experimental probes to describe and predict phenomena involving many quantum particles. The satellite meeting will aim to define the relevant approaches for describing transitions from thermal to non-ergodic phases of matter and their possible implications. The programme, talk abstracts and biographies of the speakers and organisers is available below. Recorded audio of the presentations are also available below. 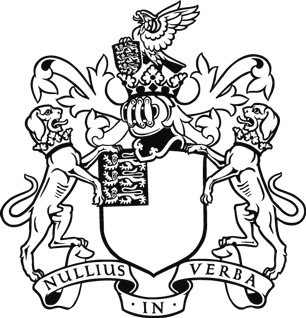 Prior to this meeting there was a related discussion meeting 'Breakdown of ergodicity in quantum systems: from solids to synthetic matter' held at the Royal Society, London on 6-7 February 2017. Sir Michael Pepper is Pender Professor of Nanoelectronics in UCL and is Fellow of Trinity College, Cambridge, and Emeritus Professor of Physics, Cambridge. He has received a Royal Medal of the Royal Society for his work on the electronic properties of semiconductor nanostructures and is interested in the quantum phenomena which can be observed in dimensions less than two. 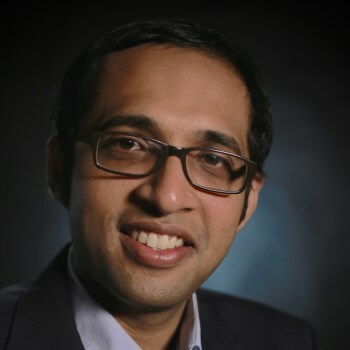 Arijeet Pal is Glasstone Fellow at the Rudolph Peierls Centre for Theoretical Physics at University of Oxford. He received his MA in Natural Sciences from University of Cambridge where he was a Gates scholar, and a PhD in Physics from Princeton University, USA. He was a postdoctoral fellow at Harvard University, USA before coming to Oxford. His research spans topics in theoretical condensed matter and statistical physics, and quantum information science. He works on the phenomena of thermalisation and many-body localisation in quantum and classical systems. In recent work, he has explored the nature of quantum phase transitions in highly-excited states. He also closely collaborates with experimentalists on processing of quantum information using electrons and nuclear spins in semiconductors. Dr Zlatko Papic is a Lecturer in Theoretical Physics Group at University of Leeds. He obtained his PhD at Université Paris Sud in 2010. 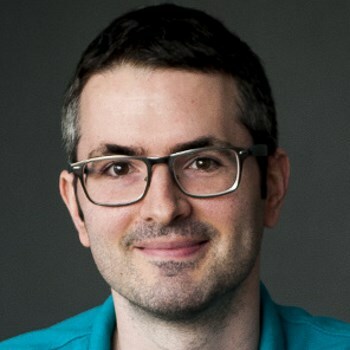 He was a postdoctoral researcher at Princeton University (2010-2013), and a joint postdoctoral fellow between Perimeter Institute and Institute for Quantum Computing in Waterloo (2013-2015). His research spans condensed matter theory and quantum information, focusing on emergent phenomena in quantum many-body systems, such as the topological phases of matter, the fractional quantum Hall effect, and many-body localisation. Dr Ulrich Schneider is an experimental physicist studying quantum simulation and many-body physics using ultracold atoms in optical lattices. He is a reader in many-body physics at the Cavendish Laboratory of the University of Cambridge and a fellow of Jesus College Cambridge. Earlier positions include the Ludwig-Maximilians Universität in Munich and the Johannes-Gutenberg Universität in Mainz. He has worked extensively on the non-equilibrium dynamics in optical lattices and the realisation of many-body localisation. Other works include studies of quantum transport, the dynamics of a quantum phase transition, fermionic Mott insulators, and Negative Absolute Temperatures. He also developed interferometric probes for topology and quasicrystalline potentials for ultracold atoms. He is the winner of the 2015 Rudolf-Kaiser prize and holds an ERC starting grant. 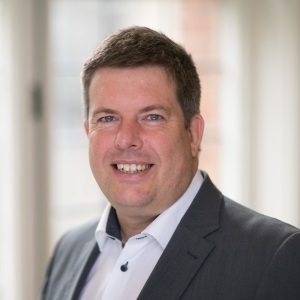 He has acted as guest editor for Annalen der Physik and as organiser of several international conferences, including a Royal Society Discussion Meeting on MBL in 2017. Steven H. Simon is a professor of theoretical physics at Oxford University. Formerly a department director at Bell Laboratories, Professor Simon is interested in condensed matter physics, topological quantum effects, quantum information, wireless communications, semiconductor physics, fractional quantum Hall effect, and topological quantum computation. His current research focus is on topological phases of matter. He is a fellow of the American Physical Society and currently holds a Royal Society Wolfson Merit Award. He is the author of a popular introductory book on solid state physics. Recently he has started to become interested in many-body localization. Throughout his career, Professor John Imbrie has been interested in mathematical work that sheds light on important questions in theoretical physics. He received his PhD in Physics from Harvard in 1980. He continued there as a Junior Fellow in the Society of Fellows before joining the faculty in 1984. During this time he worked on renormalization group methods in gauge theories and on disordered systems such as the random-field Ising model. In 1991, he became Professor of Mathematics at the University of Virginia. He obtained significant results on the self-avoiding walk, directed polymers, and branched polymers. He has also developed mathematical models of ice-age cycles. In recent years, he has been working on mathematical problems in the theory of localization in single-body and many-body disordered quantum systems. Dan has been studying the insulating state bordering with superconductivity in disordered indium-oxide. The transport properties of this insulator indicate that it is rather unusual. In his talk, Dan will describe recent results obtained from noise and non-linear current-voltage measurements, and Ohmic transport at very low temperatures. Findings associate them with non-ergodic properties of this insulator. Professor Dan Shahar obtained his PhD from Princeton University working on the quantum Hall effect under the supervision of Dan Tsui. Following a postdoc in the same group Shahar joined the Weizmann Institute where he has been running a low-temperature transport research lab since. His group have recently been focused on the study of highly disordered superconductors. De Roeck will describe his group’s recent work on stability of MBL when connected to small baths (ergodic grains). The talk will start from a microscopic theory that is built entirely upon the MBL/ETH dichotomy. This theory predicts in particular that it is possible for a small bath to delocalize an arbitrarily large volume of LIOM's, provided that the latter are coupled to the bath with coupling constants that decay too slowly (slower than a critical exponential rate). The theory is being tested now and it seems to be in excellent agreement with numerics. Then, De Roeck will use it to construct an RG picture of the MBL-to-ergodic transition. The presentation obtains discontinuous behaviour of the entranglement entropy and several length scales, whereas his work also identifies explicitly some divergent length scales. This is based on joint works with F Huveneers, D Luitz, M Mueller and T Thiery. De Roeck works in mathematical physics and condensed matter. His favourite topics are rigorous theory of quantum dissipation, quantum spin systems, non-equilibrium phenomena and many-body localization. Prosen will discuss numerical results and some analytic arguments supporting ergodicity breaking, or super-exponential (in inverse coupling strength) relaxation times, in clean kicked non-integrable quantum spin 1/2 chains. A class of such models can be described as quantum cellular automata for which ergodicity breaking can be conveniently characterised by analysing the leading eigenvalue of a dynamical transfer matrix in the space of translationally invariant operators. Tomaž Prosen has been a full professor of theoretical physics at University of Ljubljana since 2008, where he leads a group on non-equilibrium quantum and statistical physics. He obtained his PhD in 1995 at the same university. His main current research interest is in fundamental problems in dynamical systems, quantum many-body dynamics, non-equilibrium statistical mechanics, integrable systems and quantum transport. He has been interested and working on ergodicity breaking in many-body systems since late 1990s. Garrahan will consider the applicability of concepts from classical soft matter physics to problems of slow relaxation and non-ergodicity in quantum many-body systems. Soft materials which display slow cooperative relaxation such as glasses often do so as a consequence, not of quenched disorder, but of effective constraints in their dynamics. These give rise to metastability, spatially fluctuating cooperative relaxation and eventual arrest. Garrahan will discuss how these ideas may connect to many-body localisation in the absence of disorder and to the fate of MBL in the presence of dissipation. He will also try to cover relations between quantum Fisher information, multipartite entanglement and measures of coherence in problems with particle conservation, which should allow to probe entanglement dynamics in both closed and open systems from the measurement of specific observables. Juan P. Garrahan holds a chair in physics at Nottingham in the condensed-matter theory group. His research covers a broad area of statistical physics and its applications. Particular interests include the dynamics of complex and slow relaxing materials such as supercooled liquids and glasses and other soft-matter, molecular self-assembly, and non-equilibrium quantum systems. Within the latter a focus has been on integrating ideas and methods of statistical condensed-matter physics with those of atomic physics and quantum optics to address problems in both open and close quantum many-body systems far from equilibrium, including issues such as thermalisation and many-body localisation, dynamics and pattern formation in atomic ensembles, quantum metrology and non-equilibrium phase transitions. In the past Garrahan was a Glasstone Fellow in Oxford and a Pitzer Visiting Professor at UC Berkeley. 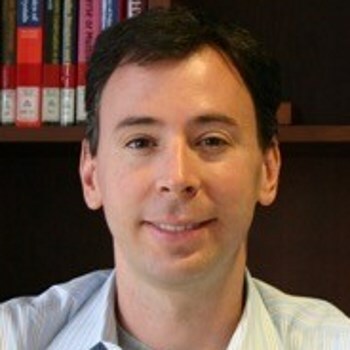 Joel Moore is Professor of Physics at University of California, Berkeley. He is one of the leaders in the study of the topological aspects of electronic physics, particularly known for his work with Balents on strong topological insulators and his work with Orenstein and Vanderbilt on magnetoelectric couplings and optical responses induced by geometric and topological terms in various material classes. He has also obtained significant results on nonequilibrium dynamics of interacting quantum systems, significantly elucidating the role of quantum entanglement in these phenomena. Antonello Scardicchio received his PhD from the Massachusetts Institute of Technology (Cambridge, MA) in 2006. He served as a Junior Fellow of the Princeton Center for Theoretical Physics (Princeton University, Princeton, NJ) from 2006 to 2008. 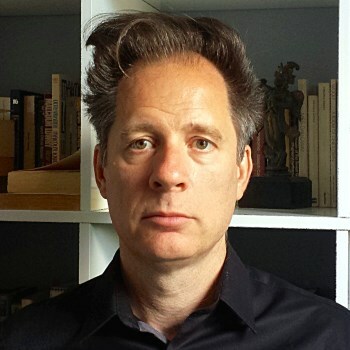 Scardicchio has been at the Abdus Salam ICTP in Trieste since January 2009; and is currently a visiting scholar at Columbia University, Princeton University and CUNY. 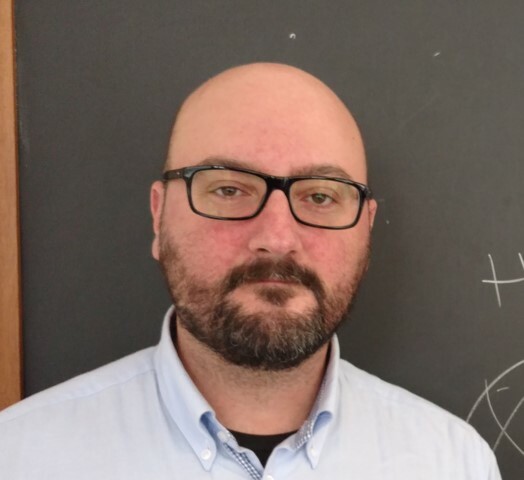 Antonello worked on fluctuation-induced forces and nuclear and particle Physics before becoming interested in disordered quantum systems, which is now his main field of interest. 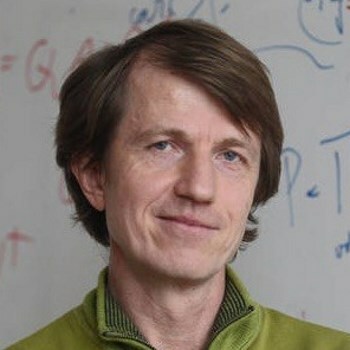 He is currently working on the theory of many-body localization and on the implications of such phenomenon for the design and performance of quantum computers. Robust edge zero modes guaranteeing ground-state degeneracy are common in a topological phase of matter. A more dramatic effect occurs in the Ising/Majorana/Kitaev chain: “strong” edge zero modes result in identical spectra in the entire even and odd fermion-number sectors, up to exponentially small finite-size corrections. A strong zero mode in a clean system is not a free-fermionic fluke. In the XYZ chain/coupled Majorana wires, its presence guarantees infinite coherence time for the edge spin, even with an infinite-temperature initial state. In non-integrable systems like the Ising chain with four-fermion interactions, an “almost” strong zero mode results in a very long coherence time, falling off very slowly with system size. 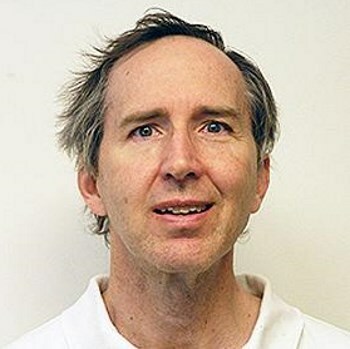 Paul Fendley is Senior Research Fellow and Professor of Theoretical Physics at All Souls College, University of Oxford. For many years, he was Professor of Physics at the University of Virginia. He is a Fellow of the Institute of Physics and of the American Physical Society. He researches many aspects of statistical mechanics, on both the condensed-matter physics and the mathematical sides. 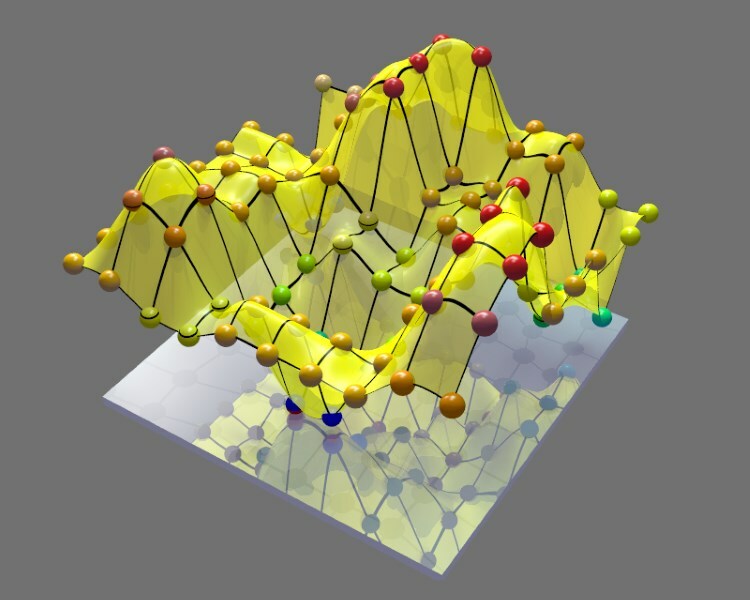 A major theme is on inventing new methods to analyse low-dimensional systems with strong interactions, such as those where charge fractionalisation takes place. One particular recent focus is on systems with topological order, of potential application to quantum computation. The long time dynamics of generic strongly interacting quantum systems presents a fundamental challenge for theory and computation. Matrix product states, useful for describing quantum ground states, are commonly thought to be inadequate for description of dynamics. The main obstruction is the linear growth of the entanglement entropy in time, which implies exponential growth of the required matrix sizes. In his talk Altman will discuss a new approach to overcome this obstruction and accurately describe the chaotic dynamics and emergent hydrodynamic behaviour at long times using matrix product states. The key idea is that local observables thermalize quickly when subject to generic evolution and consequently follow effective classical hydrodynamics. This suggests that the entanglement growth can be truncated after the local equilibration time without sacrificing information about local observables. Our scheme for implementing this truncation is based on the time dependent variational principle, which ensures that the approximate dynamics respects all conservation laws and can be systematically improved by increasing the bond dimension. Altman will present results for thus obtained transport coefficients and chaos characteristics in the Ising model subject to both transverse and longitudinal fields. 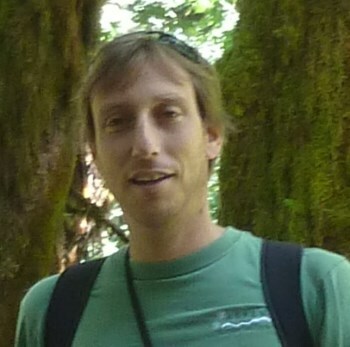 Ehud Altman is a professor of Physics at UC Berkeley. 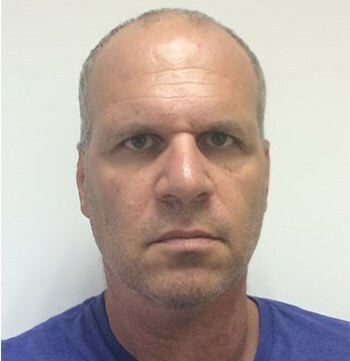 Previously, until the Summer of 2016, he was a professor at the Weizmann Institute of Science in Israel for 10 years. Professor Altman is interested in strongly correlated quantum phases of matter, where interactions and quantum entanglement can give rise to unexpected emergent properties. A recent focus of his research is the question how such emergent behaviour unfolds in non-equilibrium systems. In particular he is trying to understand thermalization and many-body localization in quantum systems by employing concepts of quantum information theory and the renormalization group. Atomic gases cooled to Nanokelvin temperatures are a new exciting tool to study a broad range of quantum phenomena. In particular, an outstanding and rapid control over the fundamental parameters, such as interaction strength, spin composition, and dimensionality allows to realize and observe many different situations far from equilibrium. Long-standing questions such as the coupling to an environment can be investigated. In her talk, Kollath will address the question of the influence of a coupling to an environment on the system dynamics in bosonic optical lattice gases. The interplay between the interaction, the kinetic energy and the coupling to the environment causes a critical dynamics with algebraic decaying observable or a glass-like dynamics. Also the propagation of correlations will be discussed. 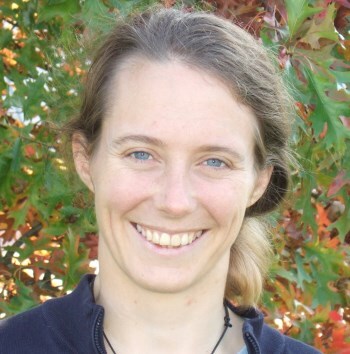 Professor Corinna Kollath obtained her PhD in 2005 from RWTH Aachen. 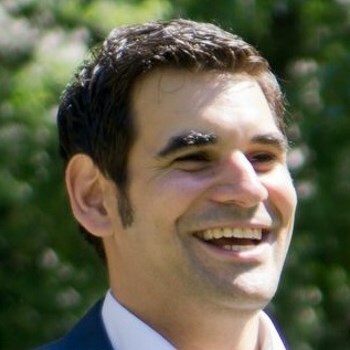 Between 2005 and 2007, Kollath completed a postdoc at the University of Geneva, working with Thierry Giamarchi. During the period 2005 to 2007, Corinna became a Junior Research Chair of the network ‘Triangle de la Physique’. In 2008 she was at Chargé de Recherche de 2eme class (CNRS) at CPHT, École Polytechnique. Between 2011 to 2013, Kollath became the Associate Professor at the University of Geneva, Switzerland. Since 2013, Corinna has been a Professor at the University of Bonn, Germany. Lea F. Santos concluded her PhD in theoretical physics in 2000 at the University of Sao Paulo in Brazil. After postdoctoral positions in the United States at Yale University, Michigan State University, and Dartmouth College, she joined Yeshiva University in New York City, where she has been full professor since 2014. 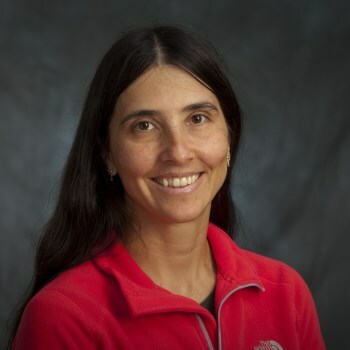 Her research focuses on quantum systems of interacting particles with emphasis on the characterization and control of their dynamical properties, the onset of chaos and thermalization, and the metal-insulator transition. She has served in different committees of the American Physical Society, has been awarded grants from the National Science Foundation, including the CAREER award, was a KITP Scholar and is a Cottrell Scholar. A novel feature of cold gases is the possibility to couple the motional dynamics of a quantum many body system to (one or more) quantized bosonic modes, describing the light fields in optical cavities. Such matter-light coupled systems show interesting forms of collective dynamics. They are subject to dissipation through fluctuations/damping of the cavity mode. Cooper will present theoretical results that demonstrate examples of these novel collective dynamics, both in uniform and disordered settings, focusing on the question of whether or not the dissipative dynamics drive the system to a unique steady state. 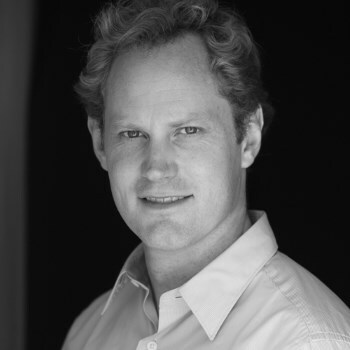 Nigel Cooper is a condensed matter theorist, working on many-particle quantum systems. His work spans both the traditional solid-state setting of semiconductor materials and the field of ultra-cold atomic gases. He obtained a PhD from Oxford (1994), and held research positions at Harvard, Institut Laue-Langevin (Grenoble), Cambridge and Birmingham (as Royal Society University Research Fellow). He joined the Cavendish Laboratory in Cambridge in 2000, where he is now Professor of Theoretical Physics. He was awarded the 2007 Maxwell Medal and Prize by the Institute of Physics, a Humboldt Research Award (2013) and an EPSRC Established Career Fellowship (2013). Recent experiments [1,2] indicate that selective optical driving of phonons may generate or enhance ordered phases in strongly correlated quantum materials. In his talk Jaksch will discuss quantum optically inspired models that may help explain and engineer such phenomena. Specifically, Jaksch will consider a driven fermionic Hubbard model in the strongly correlated limit where the onsite interaction dominates over the kinetic energy . The driving is modelled as an alternating periodic modulation of the lattice site energy offsets. He will demonstrate how this modulation suppresses tunnelling and induces exchange interactions. The combination of these effects changes the nature of the system into an attractive Luttinger liquid and leads to enhanced fermion pairing in one spatial dimension. Jaksch will present results at zero and finite temperatures and discuss the prospect of observing driven out-of-equilibrium superconductivity in this model system. D. Fausti, R.I. Tobey, N. Dean, S. Kaiser, A. Dienst, M.C. Hoffmann, S. Pyon, T. Takayama, H. Takagi, and A. Cavalleri, Light-Induced Superconductivity in a Stripe-Ordered Cuprate. Science 331, 189 (2011). M. Mitrano, A. Cantaluppi, D. Nicoletti, S. Kaiser, A. Perucchi, S. Lupi, P. Di Pietro, D. Pontiroli, M. Ricco, S.R. Clark, D. Jaksch and A. Cavalleri, Possible light-induced superconductivity in K3C60 at high temperature. Nature 530, 461-464 (2016). J. Coulthard, S.R. Clark, S. Al-Assam, A. Cavalleri and D. Jaksch, Enhancement of super-exchange pairing in the periodically-driven Hubbard model, arXiv:1608.03964 (2016). Dieter Jaksch is the Head of Atomic and Laser Physics at the University of Oxford. He has worked on strongly correlated quantum systems and their non-equilibrium dynamics since 1998 starting with a proposal for achieving a superfluid to Mott insulator transition in ultracold gases. It was followed by theoretical work that helped laying the foundations of the research field of strongly correlated ensembles of ultracold atoms in optical lattices and realisations of quantum simulators with neutral atoms. His current research interests include developing quantum algorithms for early generation quantum computers, eg, for solving non-linear partial differential equations and optimisation problems, and extending quantum optical techniques towards controlling quantum materials. The statistical properties of the entanglement spectrum of a disordered many-particle system are studied, in order to identify the localized to extended transition as function of interaction strength and excitation energy expected from the many-body localization transition. In his talk, Berkovits shows that an indication of such a transition is indeed observed, and some of the features may be interpreted as a signature of non-ergodic behaviour. 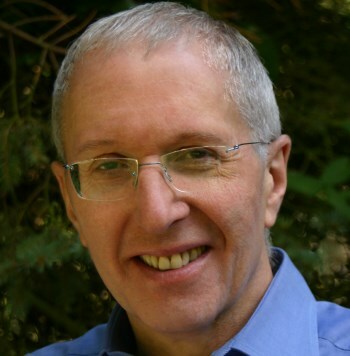 Richard Berkovits is a Professor of Physics at Bar-Ilan University. His speciality is theoretical condensed matter Physics. Berkovits received his PhD in Physics from Bar-Ilan in 1989. 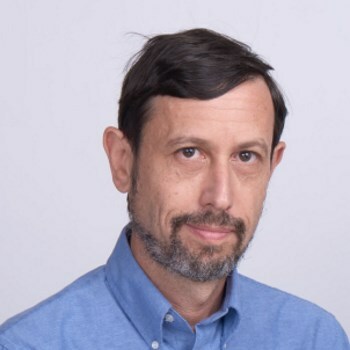 He continued on as a post-doc in UCLA and MIT and then returned to Bar-Ilan in 1992 as a faculty member in the Department of Physics, which he chaired between 2008 and 2012. He spent a sabbatical year in Princeton University and NEC Labs. The time-dependent microscopic control available in experiments with systems of ultracold atoms has opened new opportunities to explore many-body dynamics, addressing fundamental questions both in and out of equilibrium. This control can also be extended beyond the coherent dynamics of the system, as in typical experimental regimes the dominant mechanisms for dissipation can both be described microscopically from first principles, and can be controlled with external fields. Such control originates in the separation of timescales for coupling to a reservoir and for the relaxation of the reservoir, which is typical in quantum optics. This allows us to calculate and explore the effect of dissipation on the many-body dynamics, including on the ergodicity of dynamics after a parameter quench. We can also go further, especially in engineering dissipative processes that will drive the system into specific interacting many-body states. Daley will discuss his group’s recent work in this direction, especially looking at the microscopic description of dissipation for cold atoms in optical lattices in the presence of light scattering or with the addition of a second species that acts as a reservoir, and describe applications towards the generation of strongly correlated many-body states, and the investigation of out-of-equilibrium dynamics (including in systems exhibiting many-body-localisation). 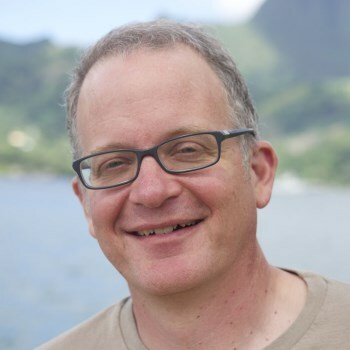 Andrew Daley is Professor of Theoretical Quantum Optics in the Department of Physics at the University of Strathclyde in Glasgow, Scotland. 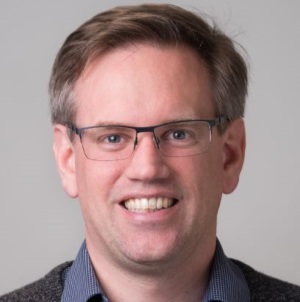 Originally from Auckland, New Zealand, he completed his doctoral studies at the University of Innsbruck, Austria, in 2005, and was a senior scientist in Innsbruck and then an Assistant Professor at the University of Pittsburgh before moving to Scotland in 2013. His research centres on the interface between quantum optics and many-body physics, especially exploring new possibilities to study out-of-equilibrium dynamics with strongly interacting quantum gases of atoms and molecules in optical potentials. He is currently PI of an EPSRC Programme Grant on ‘Designing out of equilibrium many-body quantum systems’.